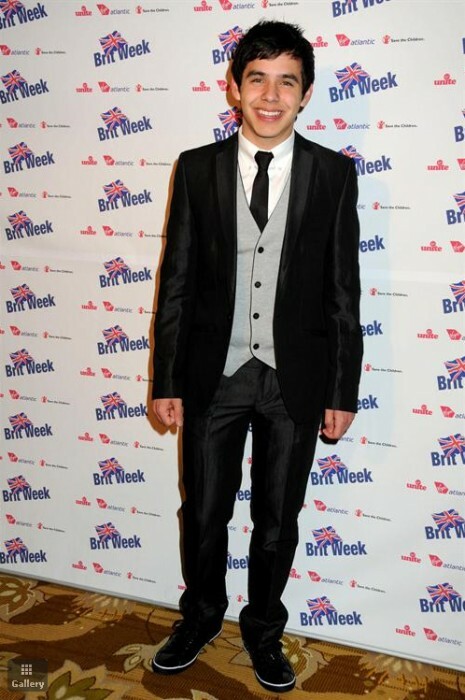 Last night at the BritWeek gala in Los Angeles, David Archuleta sang the two songs that I had hoped he would choose. “Imagine,” appropriately a song written by British Beatle John Lennon, was an ideal choice because David has redefined the song with his Eva Cassidy-inspired version. “Prayer of the Children,” written by fellow Utahn Kurt Bestor, was perfect since the BritWeek dinner was a benefit for Save the Children. The other beneficiary, Virgin Unite, is a non-profit foundation of the Virgin Group, which unites people to tackle tough social and environmental problems in an entrepreneurial way. David was brilliant! The event ‘went down like a bomb,’ which in British slang means that people really enjoyed it. In the US the meaning would be almost exactly the reverse, except when Randy Jackson says, “You’re the Bomb”! Listen to snippets of both songs which was kindly posted by Juliana from Jaunted.